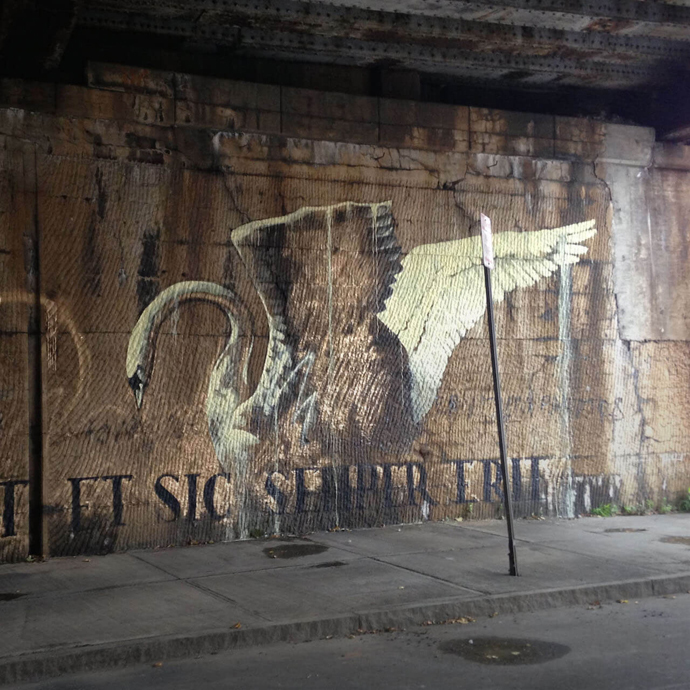 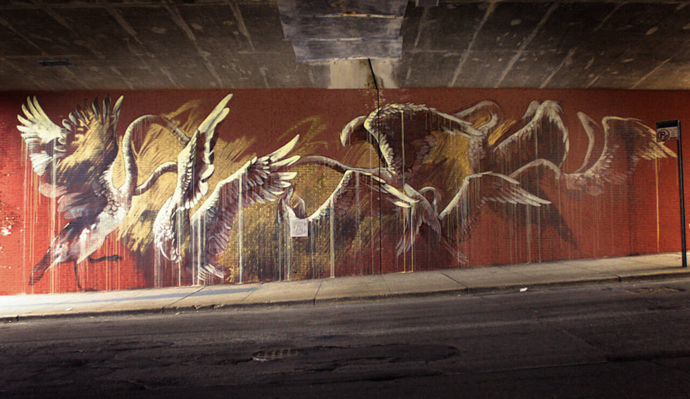 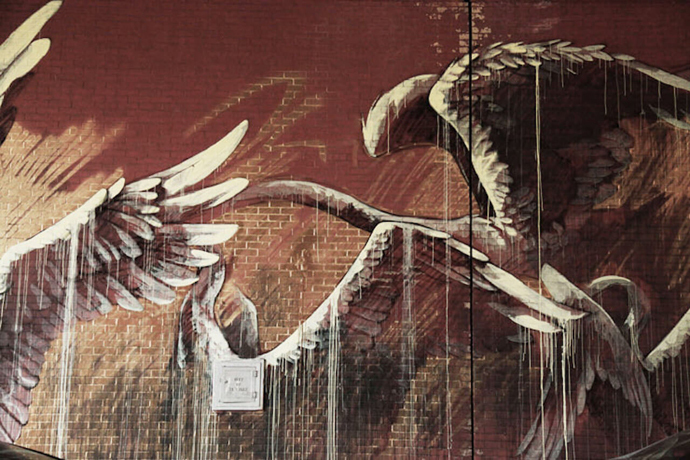 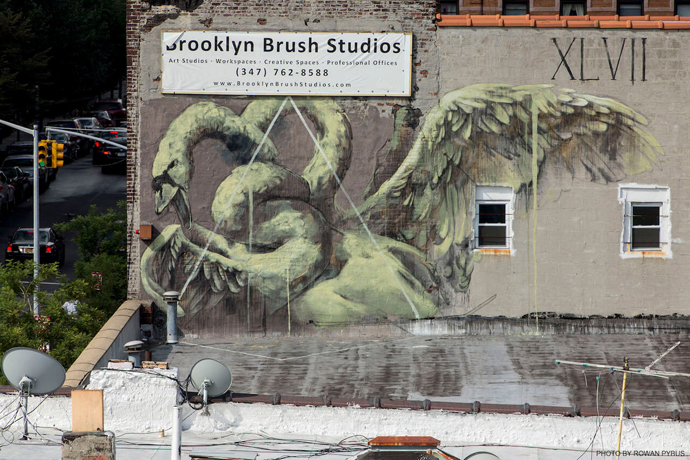 Acclaimed SA street artist Faith47 has created a series of giant bird murals in New York City. 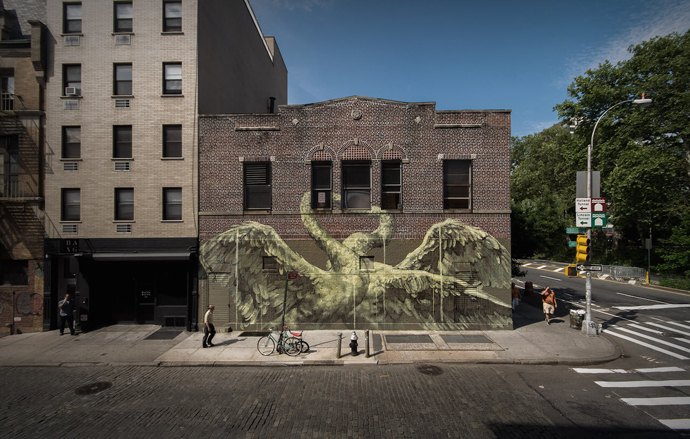 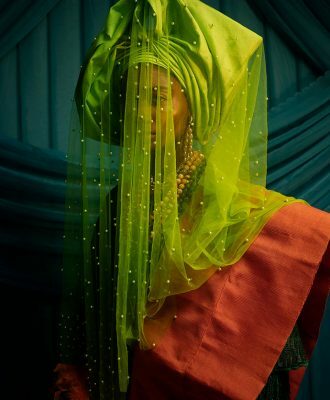 She will be exhibiting at the Jonathan Levine Gallery in NYC (her debut solo show) until 19 December 2015. 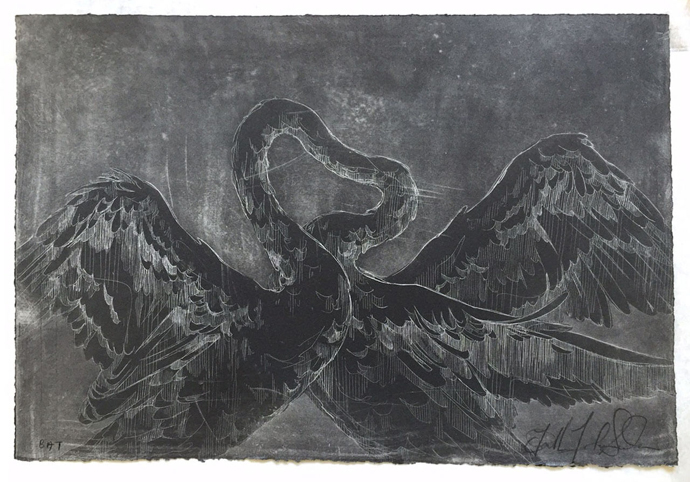 A selection of 50 limited edition etching prints (of the below image) have been selected by Vandalog as part of Amazon’s Street Art Project and are available for purchase. 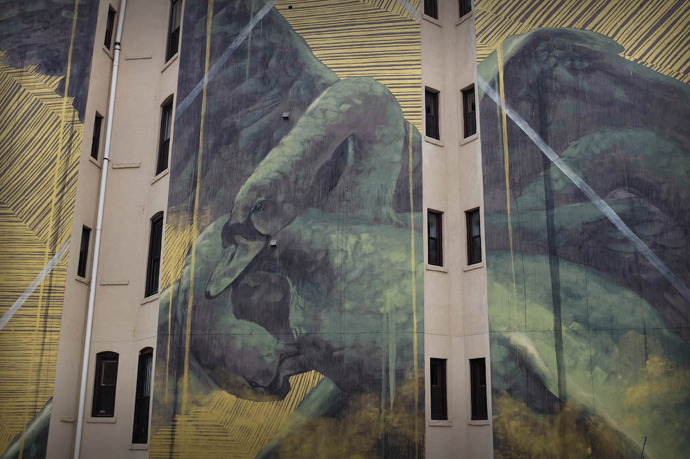 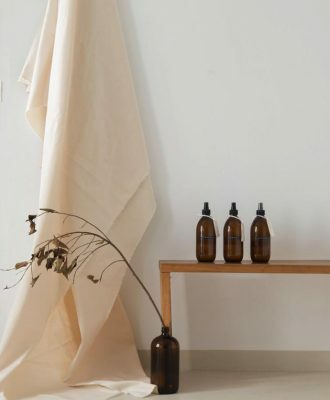 Award-winning South African filmmaker Rowan Pybus has created a cool clip inspired by her work below, entitled No Standing Anytime.